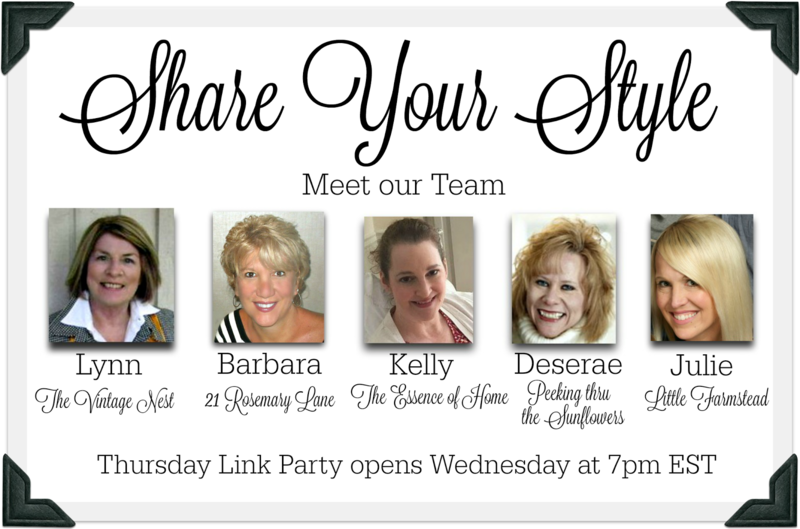 Welcome to the 51st Share Your Style party! I am still knee deep in painting and trying to get my son's room completed. It's hard to work all of this around my husband's work schedule. I've injured my hip so he is having to do most of the work. In the meantime, I'm enjoying seeing what everyone else has been able to accomplish! This week, Lynn from The Vintage Nest is your host. She will be sharing some exciting news about our party too! 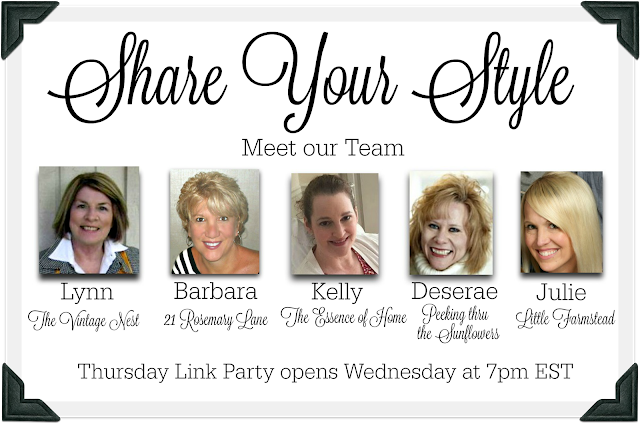 I am so delighted to announce two new hosts will be joining us in our future Share Your Style parties. Des of Peeking thru the Sunflowers and Julie of Little Farmstead both have beautiful blogs with gorgeous photography and inspiration galore. 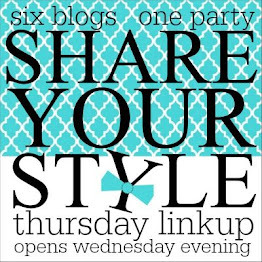 This means you will now have five hosts and five blogs which means lots of exposure for you when you add your blog link to our party each week. And we love to have you....we really do. I am your host for today's party......Lynn @ The Vintage Nest and so happy to see you. Thanks so much for the party - hope you're having a great week - and that the weekend is a wonderful one for you ! Hope you're hip pain becomes less each day. Thank you for Share Your Style Party 51. Wonderful inspirations! Hope your hip feels better soon. Can't wait to see your son's room complete. I am dealing with a sore hip, too. My own fault for climbing a ladder with vertigo. . .
You are going to love your LG DW -- we got ours two years ago, and it is so quiet I did the same thing -- put my ear to the door. I love yellow, and for me it never goes away, but more comes out in Spring. It, along with fresh green, seems to promise that Spring is not for away.